On the first floor there is a large public bath and a outdoor bath for men and women.You can take a bath at any time during your stay. There are also 5 family-owned private baths, which allow you to take a bath at no charge during your stay! Leisurely with a footbath that warms the body leisurely. 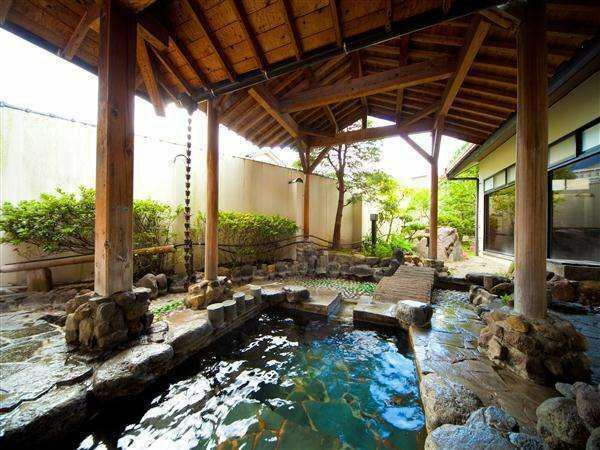 Plenty of natural hot springs.Enjoy the Beppu Onsen with a open-air Beppu Onsen bath and a spacious public bath. There are days when it can not be used for equipment inspection.Please contact us in advance. At the public bath, open-air bath, you can take a bath at any time during your stay.Guests are free for family baths.